MANILA - With the 2012 Summer Olympics in London, England as a driving force, organizers for next year’s Zero Basura Olympics (ZBO) are encouraging Philippine business companies to participate in this annual competition and get recognized for their innovative practices in solid waste management. The ZBO was first launched in June 2008 to address problems relative to garbage or solid waste management and segregation, and to fast-track the implementation of Republic Act No. 9003, otherwise known as the Ecological Solid Waste Management Act of 2000. 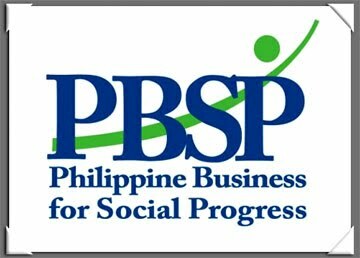 The corporate-led Philippine Business for Social Progress (PBSP), which organized the ZBO for Business competition together with Earth Day Network Philippines Inc. (EDNPI), said the ZBO has encouraged “businesses from different industries to apply conscientious and beneficial practices” as well as incorporate the 3Rs — reuse, reduce, recycle — in their respective waste management initiatives. The theme for the 2012 ZBO for Business is “Winning the War on Waste,” or WWW. Interested participants are encouraged to submit on or before 31 October 2011 their winning entries, which could include narrative essays or video and other pertinent documentation records on solid waste management success stories, all showing the sites, systems, and sustainability of waste management operations. Categories for the ZBO for Business entries would cover solid waste segregation or separation at source before reuse or recycling, source reduction or minimization before entering the waste stream, reuse/recycling or recovery of materials without alteration of physical or chemical characteristics, composting or controlled decomposition of organic matter, and green technology use for residual wastes. The competition aimed to encourage corporate participants so that they could demonstrate the most efficient ecological solid waste management practices implemented in their respective areas of operation, PBSP said. PBSP and EDNPI organized the ZBO for Business waste management competition in partnership with the Pollution Control Association of the Philippines. Inc. (PCAPI), the Philippine Business for the Environment (PBE), and the Ayala Foundation Inc.
Public sector partners included the Department of Environment and Natural Resources (DENR) and the National Solid Waste Management Commission (NSWMC), a multi-stakeholder government body created by virtue of Republic Act 9003. Moreover, PBSP said the submitted entries must be existing solid waste management projects or programs regardless of their duration, while programs recently implemented within the duration of the competition would also be accepted. It said printed entries must be in English, should not exceed 10 pages, and typed in Arial font, size 12, single spaces on letter-size paper. PBSP said printed and electronic copies of the entries could be sent to any of the organizers or implementing partners of the ZBO business competition. Each of the entries must be signed by the head of the company and the designated environmental officer or pollution control officer as point person for the competition. Recognition day and awarding ceremonies will be held in April 2012, with medals and citation plaques to the deserving winners. PBSP said the judges and project organizers may also give special awards as they deem fit. Those interested may call PBSP on telephone numbers +6362 5277741 to 48 local 109/106 or +632 5273743 and +632 5273748; or fax at +632 5273747. They cal also email at ccc@pbsp.org.ph; or call PBE at +632 6352650; and email to: mypbe@yahoo.com; and call PCAPI +632 6382914 or +632 6374550, fax +632 7473974, email to capi888@yahoo.com. Payment of registration fee amounting to P3,000 should be deposited to PBSP Banco de Oro Account No. 4480-00217-3.